Offering you a complete choice of products which include leak noise correlator, water leak listening stick and water leak detection machine. The AquaScan 610 is the world’s first cordless leak noise correlator and provides highly accurate and error-free leak pinpointing. 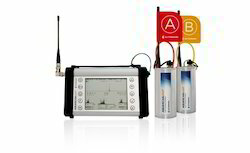 Simultaneous multi-correlation – only on AquaScan 610. The AquaScope 3 is a small compact electronic listening stick designed for use by leakage technicians on leakage surveys and for plumbers to find leaks in residential and commercial properties. A universal headphone jack lets you work with your favourite headphones. With higher processing speeds, improved signal processing technology, increased sensitivity and the possibility of unlimited correlation, this correlator can detect even quiet leak noise at low frequencies and can therefore accurately pinpoint leaks even in the most challenging conditions, particularly on large diameter pipes (trunk mains), non-metallic pipes and over longer distances than before. With its powerful radio transmission and the option to use antenna stands, the AQUASCAN TM2 can correlate leaks over distances of 1 km or more. 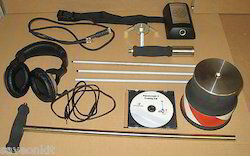 If required, hydrophones can be attached to a hydrant or tapping in the pipe and provide additional sound input. Stainless steel housing provides maximum protection for the transmitting sensors when left for hours or days in a pit with sometimes corrosive substances. The ruggedized Windows tablet PC with illuminated buttons for night work, shock-proof rubber padding and a colour touchscreen complete the kit. Looking for Water Leak Detection System ?